Apple's iOS 10.3 is rolling out today, with a new find my AirPods option and CarPlay improvements. Most of the features in iOS 10.3 aren't major, but Apple is actually undertaking a pretty huge shift for all iPad and iPhone users today. Within iOS 10.3, Apple is moving supported devices to its new Apple File System (APFS). It's a file system that was originally announced at WWDC last year, and it's designed with the iPhone, iPad, Apple Watch, Mac, and Apple TV in mind. Apple has been using its 31-year-old Hierarchical File System (HFS) for iOS devices so far. It was originally designed for Macs with floppy or hard disks, and not for modern mobile devices with solid state storage. Even its successor, AFS+, still doesn't address the needs of these mobile devices enough. Apple's new APFS is designed to scale across these new types of devices and take advantage of flash or SSD storage. It's also engineered with encryption as a primary feature, and even supports features like snapshots so restoring files on a Mac or even an iOS device might get a lot easier in the future. As APFS is designed to be low latency, this should also improve read and write speeds on iOS or Mac devices. Apple demonstrated this during WWDC last year with a Mac, showing how APFS saved time on a simple file copy compared to HFS+. 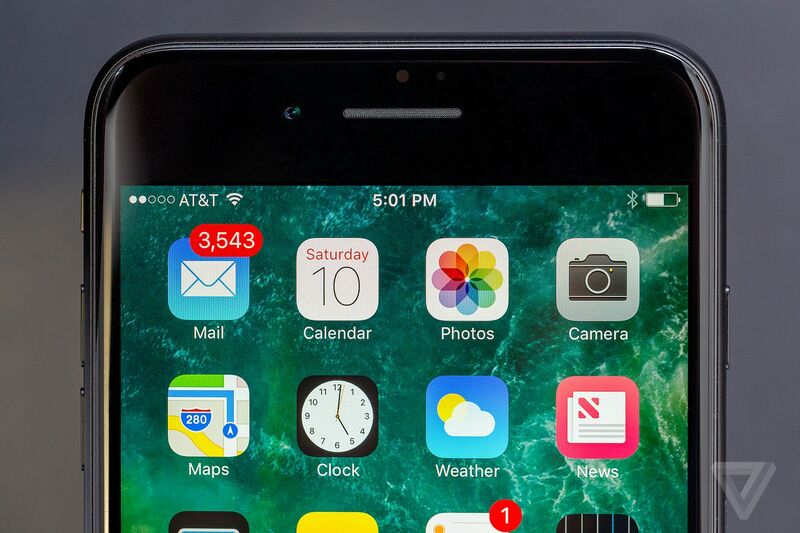 Most iPhone and iPad users won't notice a difference after today's iOS 10.3 update, but there could be a boost to storage levels for some. Beta testers of iOS 10.3 reported seeing more storage available after the update, primarily due to the way APFS calculates available data. Other than a tiny boost to storage, it's unlikely you'll see any benefits from this new file system on an iPad or iPhone just yet. It will help lay some of the foundations for Apple to switch fully over to 64-bit apps only on iOS, something that many believe will happen with iOS 11. What you might notice when you install iOS 10.3 is that it takes longer to install. It shouldn't be too much longer, but Apple is taking on a big task to carefully and silently update millions of iOS devices' file systems so things will take a little longer than normal.